HyperLocal maps out precise search volume and ranking data for each keyword in every city or country that Google Search supports. Search engines have evolved. 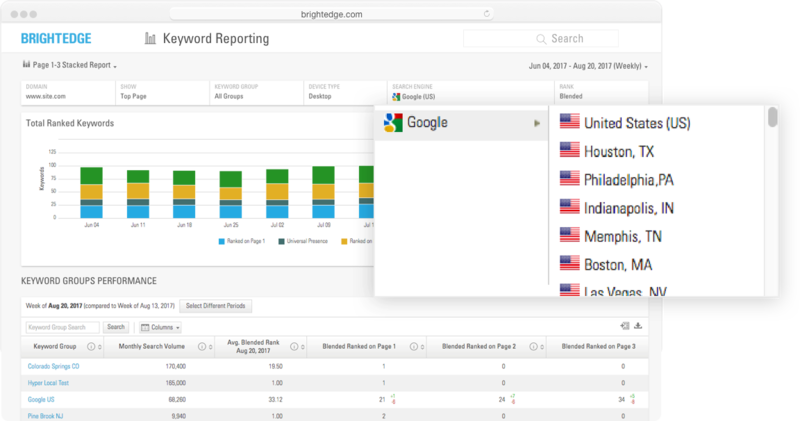 Same keyword being searched from two adjacent cities may yield different organic and paid search results. It is imperative to analyze search volume and ranking data as close as possible to your target locations to earn customers for your brick-and-mortar stores. 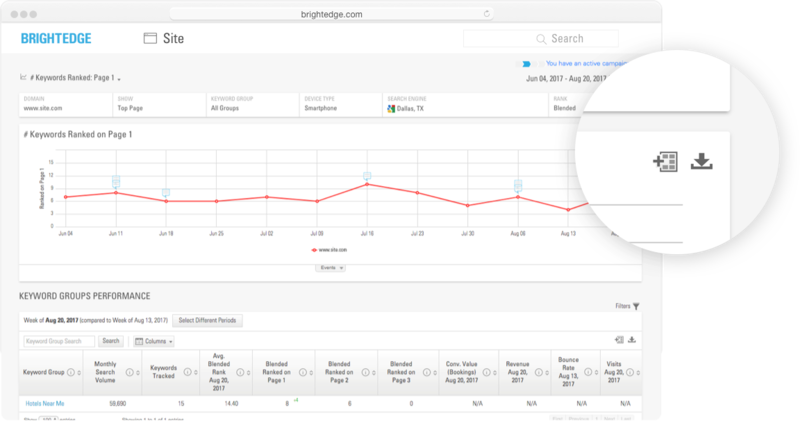 Get organic search engine volume and ranking insights for over 72,000 cities in the U.S and worldwide and analyze the data by desktop or mobile device. If your definition of serviceable area differs from what Google search defines? Use custom locations to better manage your local SEO strategies. Evaluate the searches conducted in the area surrounding your retail locations. Track how well your local listing show up for these local searches. Run side-by-side comparisons against local competitors and ideate content strategies to win share of voice on local SERP. Complete local SEO optimization projects faster using a seamless workflow. Discover new keywords from Data Cube. Easily access optimization recommendations. Add Page Reporting charts into StoryBuilder dashboards for on-going performance measurement. 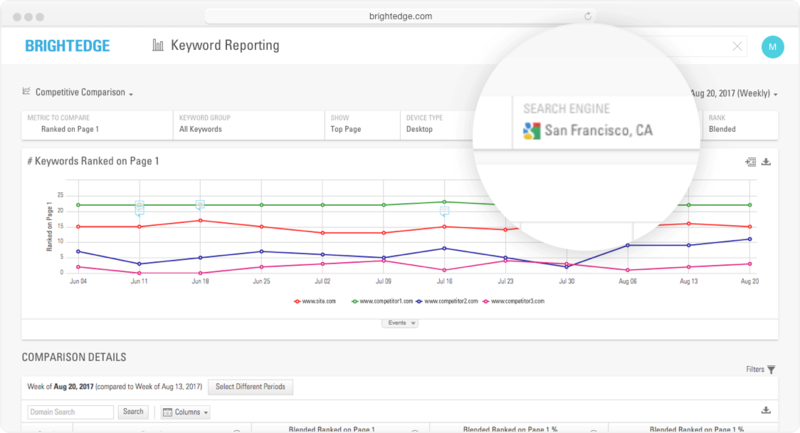 Track performance of every SEO target keyword and dig into Keyword Reporting for more insights.